Editor's note: This feature originally appeared in the March issue of DS News, out now. 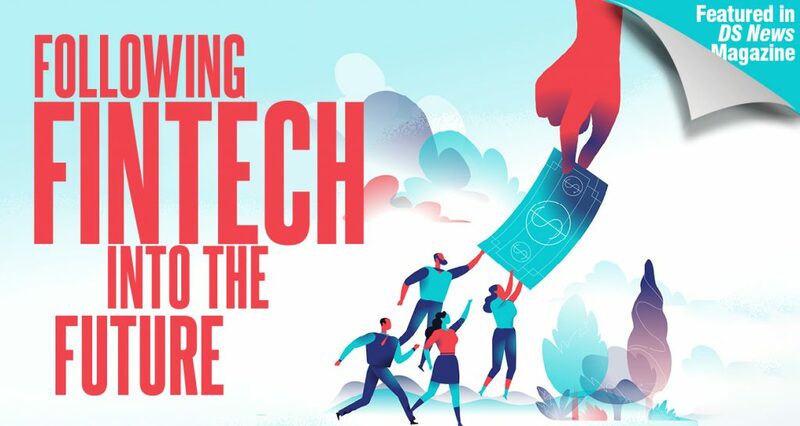 Over the past several years, the largest U.S. banks have invested billions in fintech and fintech startups to strengthen their offerings and position these organizations with new market entrants, evolving technologies, and changing customer preferences. Banks such as JPMorgan Chase (JPMC) have emphasized an enhanced digital profile. Campaigns like “Mobile First, Digital Everything” cater to the 60 percent of U.S. banking consumers who have said they’d be willing to try a financial product from a bank they already use. This rate is higher (83 percent) for younger customers. JPMC also recently launched a pilot for JPM Coin aimed at reimagining how they would like to handle institutional payments. Launched in 2017 and 2016, respectively, peer-to-peer payment app Zelle and artificial intelligence assistant Erica have driven digital activity and subsequent sales from Bank of America’s (BofA) growing pool of 35 million digital customers. BofA’s peers have made similar investments in their retail banking businesses to cater to their customers’ evolving expectations. 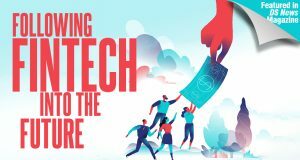 The largest banks have primarily focused on three fintech investment categories over the past several years: payments and settlements, data analytics, and financial services customer experience. These categories comprise more than 55 percent of all fintech investments made by these banks over the same time. Research suggests these investments will be used to support existing products and customer segments. Multiple fintech startups have received syndicated investments from these banks. Large banks have been active in redefining their strategy and investment in fintech capabilities. Consumer and investment banking continue to be the key focal points for large banks’ agendas through their dominance in market presence and innovation budget (e.g.,artificial intelligence, blockchain). Now, they are leveraging these capabilities and services to win in the traditionally relationship-driven markets such as small business, community, and commercial banking. It’s not a coincidence that JPMC purchased WePay, a small-business payments service, as its first major financial technology purchase. Throughout the organization, the message is consistent: win the customer through enhanced digital customer experience by focusing and investing heavily in financial technology. Another way that large banks have been redefining themselves is essentially building a new bank catering to a new generation without the traditional silos. Goldman Sachs has been building and acquiring capabilities for the last couple of years. It launched Marcus by Goldman Sachs in 2016, made more than 37 acquisitions, and is the top investor in financial technologies among the top 11 US banks. Its goal is clear—building a silo-less, service-driven bank of the future for a segment of customers outside of its traditional investment banking bread-and-butter. What’s different here is that the large banks have new targets they are focusing on beyond their core businesses. This includes small business lending and back-office automation, consumer and commercial real estate, and personal lending. In other words, the traditional strongholds of regional banks. For the regionals, not only is Silicon Valley coming, the big banks are coming as well. Between the startups exposing gaps in customer experiences, the large banks pivoting, and the post-Great Recession regulatory landscape— which introduced new guidelines and compliance challenges—a wave of consolidation can be expected. This is due to customer migration and disparity in the cost of doing business between banks that are technologically capable and those that aren’t. WHAT DOES INNOVATION MEAN FOR REGIONAL AND SUPER-REGIONAL BANKS? As digital adoption increases across demographics, there will be an increasing demand for regional banks to offer digital capabilities. To remain competitive in the age of fintech, regional banks must embrace digital capabilities. This is crucial due to aging current customers and new customers who are not as loyal to the regional banks as the previous generation. These capabilities no longer set the bar for consumers as they are now basic expectations for most, and the next generation of capabilities is already here. As banks search for new revenue streams, large banks are able to leverage technology to expand their relationships with their customers—which traditionally involve face-to-face discussions—through digital channels and compete more directly with regionals. Many large banks are using fintech to offer the newest technologies and digital experience. Regional banks must focus on providing these basic digital capabilities just to stay competitive with larger national banks. Investments and purchases in new capabilities may give the regionals a boost but they tend to be investments that are outsized for the relative size of the bank. WHY IS INNOVATION DIFFERENT FOR REGIONAL BANKS? Young, digitally savvy, entrepreneurial professionals are migrating into less urban areas due to a number of factors including workplace mobility, starting or joining small businesses, and returning to family businesses. They are also entering the regional bank’s target market. These customers will have very different expectations of what they need from a bank. Staying up-to-date with banking technology is critical to meeting these new customers’ needs. As banks transition more of their operations digitally, the advantage of having local branches and individual relationships has become less valuable. Regional banks must remain ahead of this change and begin investing in digital technologies to remain competitive with larger firms. Their client base is different: banks at the regional and super-regional level also operate under different business models than the largest banks, with greater emphasis on commercial real estate and less on consumer lending. A quick review of the portfolio differences suggests that regional banks should adapt fintech to the demographics and market conditions of their respective region rather than take the one-size-fits-all approach of their national counterparts. For example: » Southwest regional banks tend to have less of their portfolios concentrated in commercial and industrial lending, while exhibiting much higher concentrations in commercial real estate. Residential real estate lending concentration is marginally smaller for southwest regional banks. Consumer lending concentration is four times larger in large banks than in smaller southwest institutions. Southwest regional banks have a sizable agricultural lending business, which, by comparison, is almost non-existent for big banks. HOW CAN THIS BE ACCOMPLISHED FOR LESS MONEY THAN LARGE NATIONAL BANKS? Regional banks should not simply copy the “big bank” blueprint for fintech engagement. Fintech partnerships offer regional banks an opportunity to acquire digital capabilities without having to invest large amounts of capital. Regional banks should tap their strengths, building personal relationships not only with customers but with emerging fintech companies that also seek a personal connection. In speaking with CEOs and founders of fintechs across the geographic and services spectrum, one thing is relatively consistent: they are good at what they do, but they also recognize what they do not do well and they know that having the right relationship with strong business partners is essential to their success. This is where the regionals should deploy their greatest advantage, building personal and business relationships with fintechs in their backyards. Not only are they possible small-business clients; their product could also directly affect the regional bank’s ability to innovate. New due diligence guidelines may need to be evaluated, but it’s a new way to grow together with the fintechs that’s different than incubators, and very different from investment or outright acquisition strategies. It doesn’t require billions in upfront investments. As the Marcus by Goldman Sachs example clearly illustrates, you can start small and grow your capabilities over time, even starting from nothing. Regional banks are not immune to the “Silicon Valley” effect. In fact, one can argue they are even more vulnerable because of new digital capabilities, aging populations, national banks seeking new growth areas, and the effect of new regulatory expectations. Unless the response from the regional and super-regional banks is equally swift and strong, they will be more vulnerable and less in control of their own fate in the coming wave of consolidation and realignment.